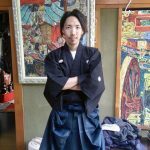 All Doburoku Festival: Sake Celebrations in Shirakawago! 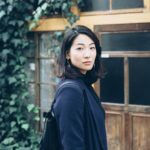 Japan has very strict provisions on sake brewing. 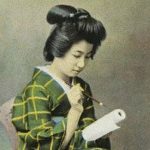 If you want to make nihon-shu, the drink referred to in English as sake, you have to register and establish a brewery under particular guidelines. Moonshine sake is forbidden. Cheers to the Gods of Rice Wine! The preserved village with its gassho style houses is one of the very few places in Japan expressly allowed to home brew sake, and specifically, a type of unrefined sake called doburoku. So white as to be nearly opaque, doburoku sake has a sharp, astringent flavor and is so thick, it is as much eaten as drunk. 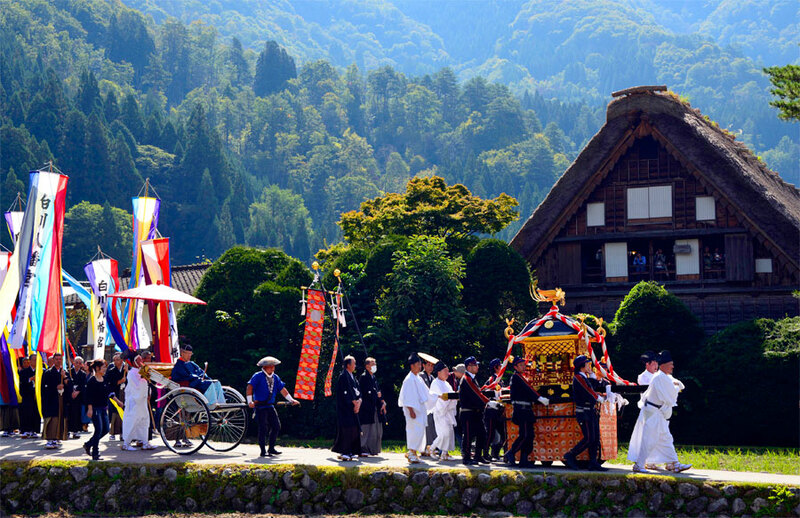 The sake’s 1300-year history is intricately tied in with the spiritual beliefs of the village. Every year from the end of September through October, prayers are offered to the gods of the mountainside for a high yield of the year’s harvests, the peace of the village and the safety of the homes therein. 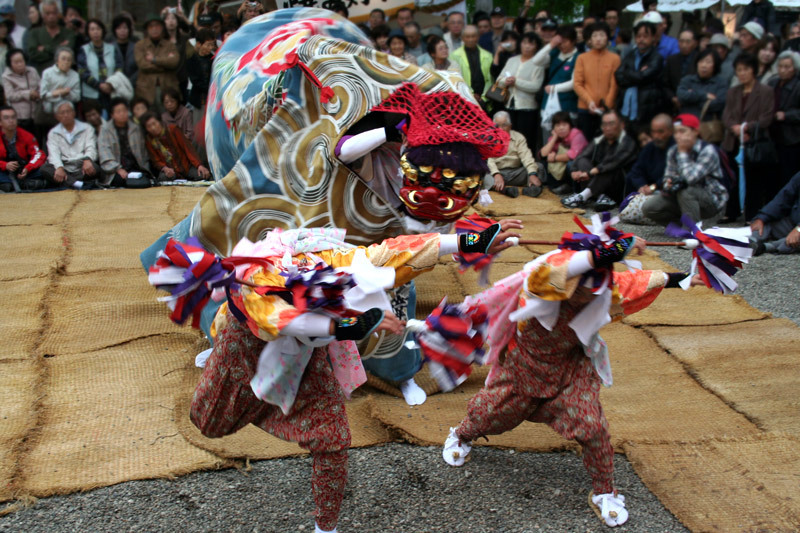 This prayer-athon culminates in the yearly Doburoku Festival, held across six days and three shrines in mid-October, which includes drinking, lion dances, and improvised buffoonery. 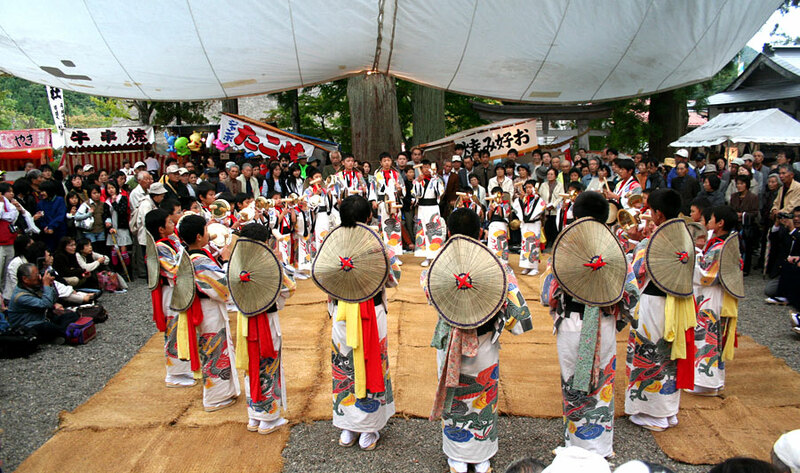 Each day, Shinto ceremonies and the parade start early in the morning. 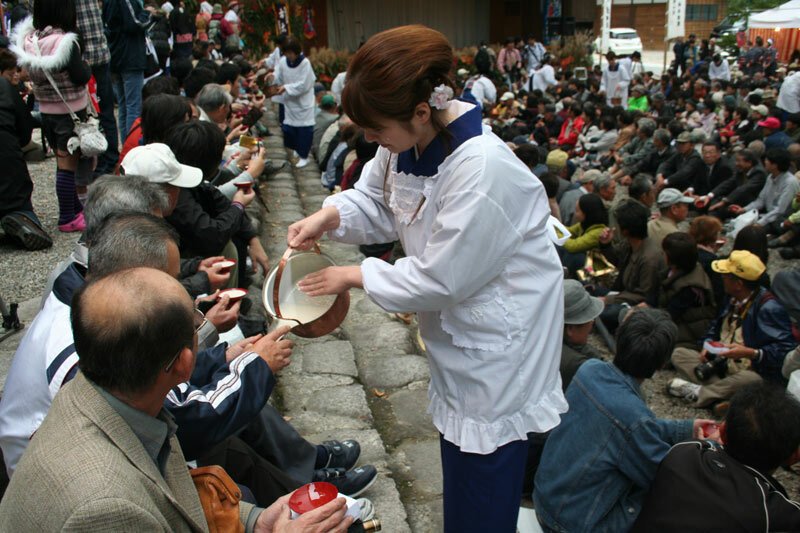 Grab lunch and a special cup from the shrine’s office building before the afternoon, when the sake offerings begin. 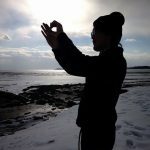 Doburoku is offered first to the gods for gratitude and supplication. Once the gods have had their fill, the rest is free for all! 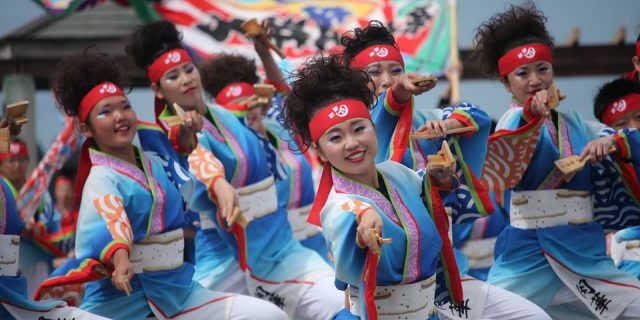 Enjoy the sake in your cup along with traditional Shirakawago folk songs and festivities evening. Finish the night watching local dance styles and shrine performances. 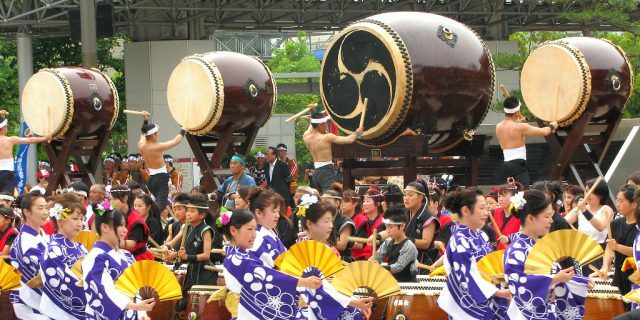 It can get crowded and quickly during the festival, especially during the mid-afternoon sake event. Shrine officials and firemen may ask people to move for general safety and care of the ceremony. Please follow their directions. Remember the cup has been blessed and prepared especially for the ceremony, so don’t use the cup for anything but the sake. Stay within the vicinity of the shrine while in possession of the cup. Also be sure to return the cup when finished! And, as always, refrain from drinking if you’re driving. 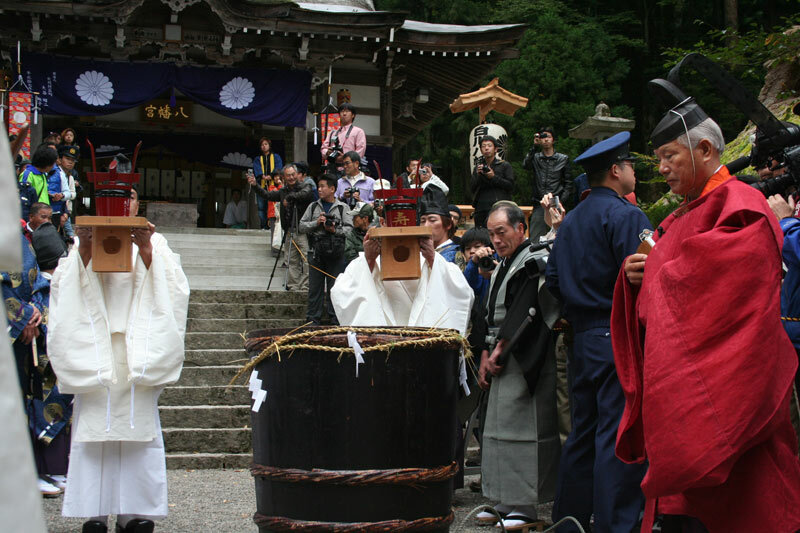 8:00 a.m. Shinto rituals begin at the shrine. 9:00 a.m. Parades begin around the village. 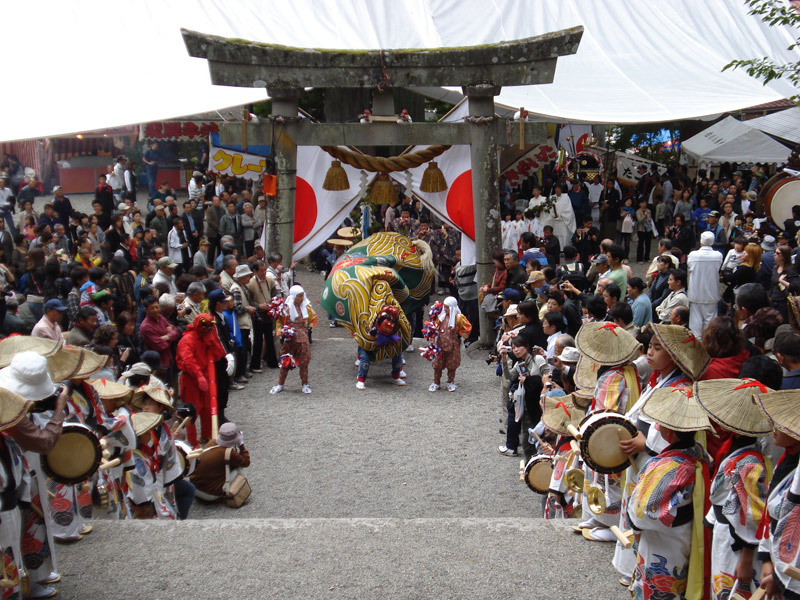 3:00 p.m. Doburoku is offered to the gods of the shrine. 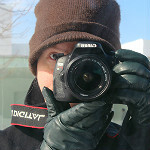 7:00 p.m. Lion dance at shrine. 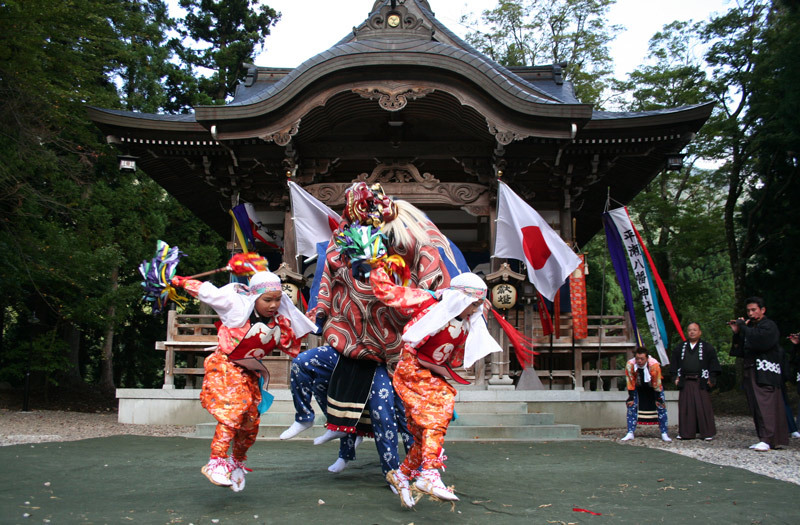 8:00 p.m. Local dances and shrine performances. Exact schedule and activities may vary slightly at each shrine. Too Late for the Festival? 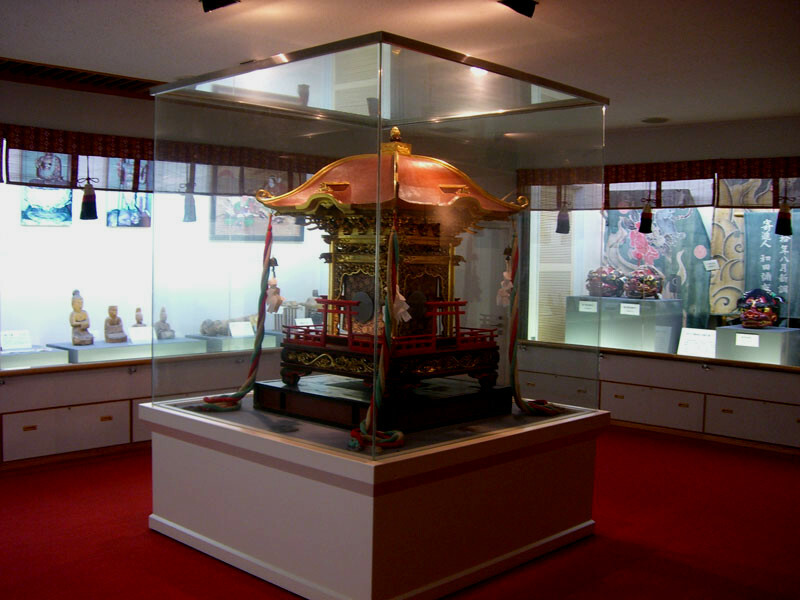 See the Festival Museum! 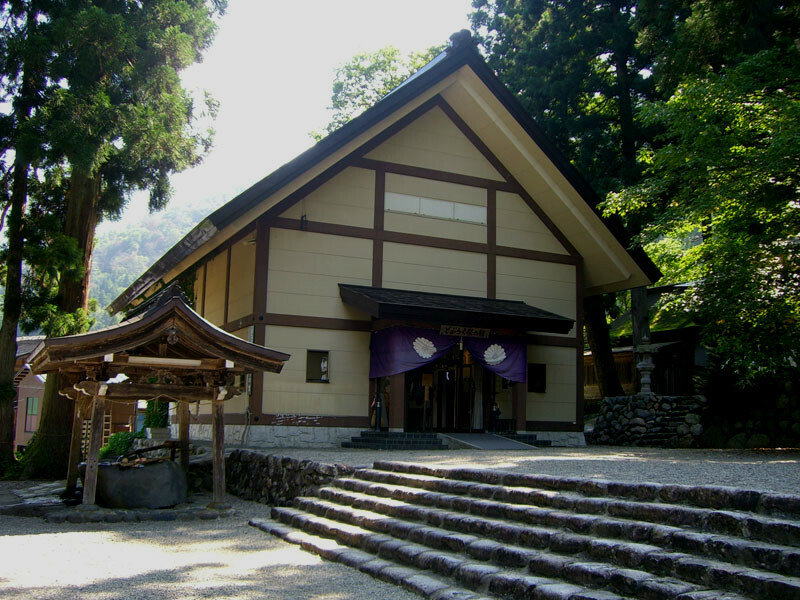 The Doburoku Festival Hall is right next to the Shirakawa Hachiman Shrine. Open during winter, this museum features all the props and costuming from the festival itself, along with historical artifacts of the area and a sample of doburoku, of course. 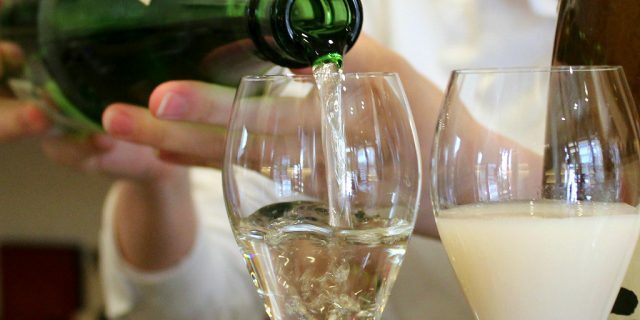 The chance to try that year’s sake is worth the trip! Images courtesy of the Shirakawa Village Office. 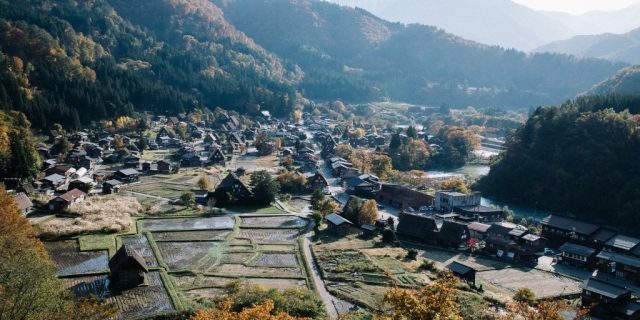 Shirakawago is just 1.5 hours away from Kaname Inn by Kanazawa city and Nohi and Hokutetsu buses.